Ok so after watching Warrior I decided to double whammy it and treat myself to seeing another movie, yup you guessed it ‘The Change Up’. 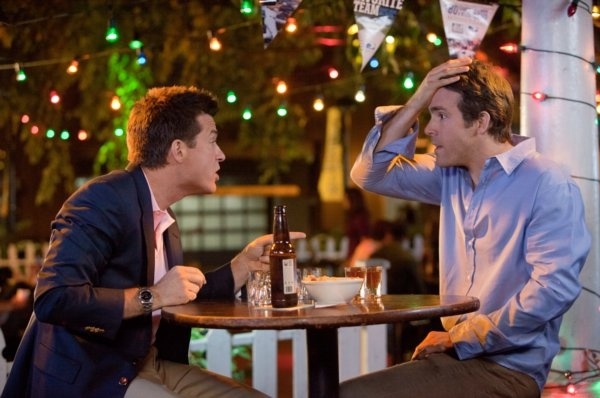 Kinda expecting to enjoy it as I’m usually pleased with Ryan Reynolds and overjoyed with the unique style of Jason Bateman, ‘The Change Up’ seemed a safe bet. Initially I thought it was another ‘Horrible Bosses’ tacky unnecessary vulgar humour with babies bottoms, poop instead of actually having a great script. As I have never walked out of a movie I wasn’t about to break the tradition and sat it out. I admit I was pleasantly surprised. Both actors we’re much more enjoyable playing their opposite selves. I was initially worried Reynolds was going to play Van Wilder Again. Luckily not! The movie as a whole with the romcom good feeling left me testy and smiling and actually not despising the early baby foulness. I’m not going to elaborate but I’m praying ‘the bit’ (you will know what I mean when you see it) was done with fake babies or I would have thought some union somewhere would have banned the film. Oh I just wanna add Leslie Mann is her usual brilliant self!